For some live recordings I’m doing later this year I’ve decided that a Superlux S502 integrated ORTF stereo microphone would do a decent job of capturing the audience reaction. However, I will have to place the mic on the stage front and I need to ensure that vibrations up to the mic are minimised. 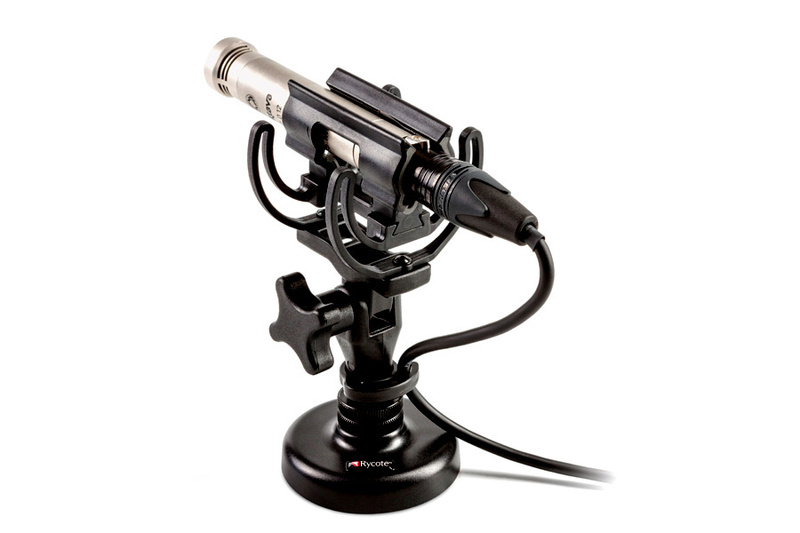 I was hoping that a decent Rycote [InVision shockmount] would suit, but Rycote’s site doesn’t give any clues about compatibility. It may be that I can press one of my Rycote InVision 7 mounts into use, but I’m not sure. What advice would you offer? SOS Technical Editor Hugh Robjohns replies: To choose the most appropriate shockmount it’s important to understand the problem you’re trying to solve. A microphone’s diaphragm can be moved in two ways: either the mic body stays still and the varying air pressure from passing sound waves moves the diaphragm — which is what we want — or, the air stays still but the microphone body shakes back and forth due to external mechanical vibrations, taking the diaphragm with it. The shockmount is supposed to prevent the latter. Hopefully, it should be fairly obvious from this that the key to effective vibration suppression is for the shockmount to be most compliant in the same plane as the diaphragm’s normal movement — yet a surprising number of commercial shockmounts don’t adhere to this simple but critical principle! ...so a better option would be the Rycote USM‑L.Thinking about a single horizontal pencil mic for the moment, it doesn’t matter if the mic body shakes up‑down or side‑side because neither of those movements (on their own) can cause the diaphragm to move in and out, and therefore vibrations in those planes won’t generate an electrical output signal. However, fore‑aft movements of the mic body will definitely cause diaphragm movement and an unwanted electrical output (which will manifest as a very low‑frequency rumble), so movement in that direction must be decoupled effectively. 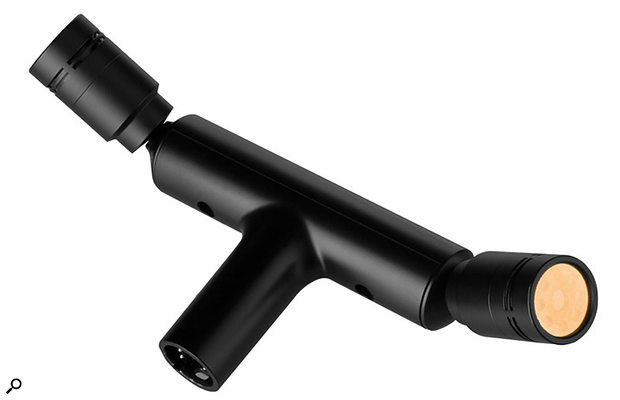 If you look at your Rycote InVision 7 shockmount, the supporting ‘lyres’ are designed to have relatively little flexibility in the side‑side and up‑down planes (essentially to stop the mic ‘wobbling about’ too much), but deform very easily in the fore‑aft direction, which is how they provide a very high level of effective decoupling and vibration isolation in the plane along which the mic is most sensitive. Of course, the problem for the S502 ORTF stereo microphone, as far as shockmounting is concerned, is that it isn’t a single pencil mic — it’s two microphones mounted together at different angles. Furthermore, the mounting stalk is vertical, rather than in the plane of the diaphragms like a pencil mic. This means that its shockmounting requirements more closely resemble the challenges of a side‑address mic, where up‑down movements aren’t a problem, but both fore‑aft and (to a slightly lesser degree because of the microphones’ mutual angle) side‑side movements definitely are! 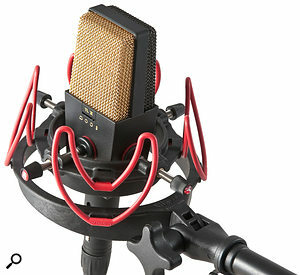 Not surprisingly, as it’s necessary to provide vibrational isolation in those two orthogonal planes simultaneously, the shockmount needs to be compliant in two planes simultaneously as well, and the Rycote design that offers that facility is the InVision USM because it uses four lyres to support the microphone, mounted at 90 degrees to each other. 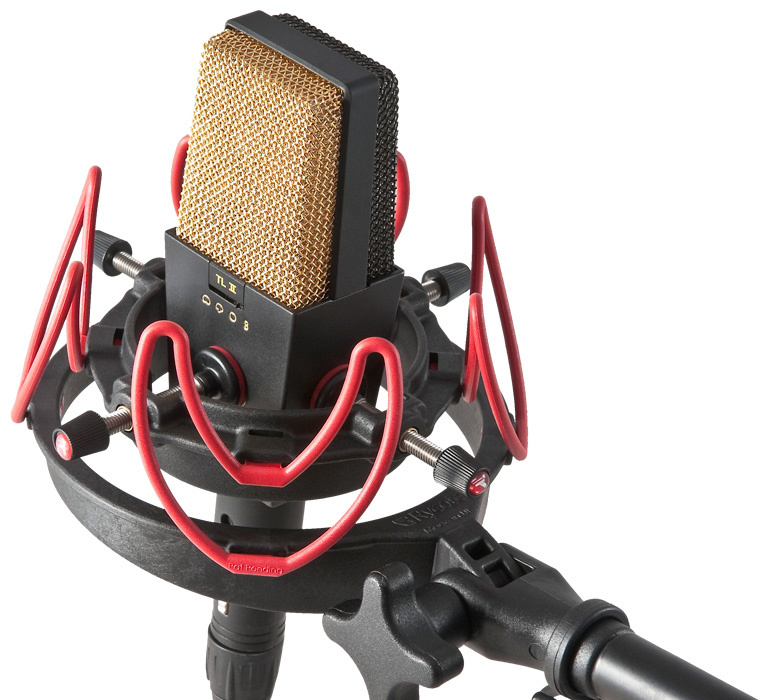 As the S502 weighs only a fraction over 400 grams I would recommend the USM‑L variant of the shockmount, which uses the most flexible (red) lyres. I’m not sure if the ‘stalk’ of the S502 is long enough to reach the shockmount’s clamps before its cross‑arm fouls on the suspension, but using the mount upside down should give more leeway and is perfectly acceptable from a vibration isolation point of view. If there’s a problem you might have to clamp the five‑pin XLR connector instead! 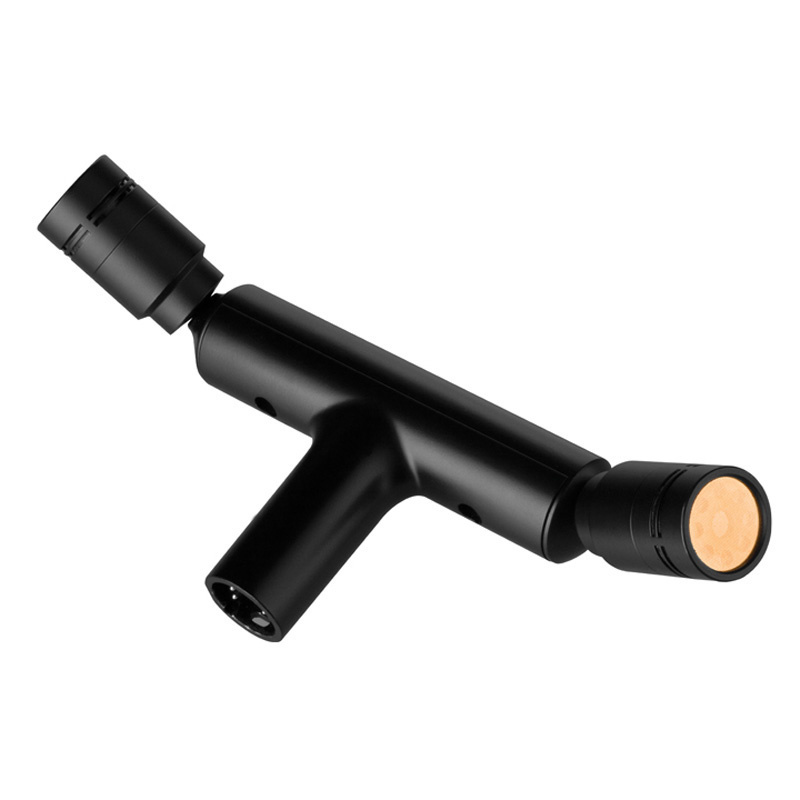 One other point: please make sure that you secure the mic’s output cable into the clip on the base of the USM mount to minimise the risk of any vibrations running along the cable reaching the mic, as that is a surprisingly common source of unwanted VLF noise, especially with heavy and stiff mic cables (as the stereo cable here is likely to be).